If you think about it, Minimalism is somewhat of a strange beast. In our modern day society where everything has to be bigger, better, more efficiënt and what not, minimalism does the exact opposite by going back to the absolute basics. 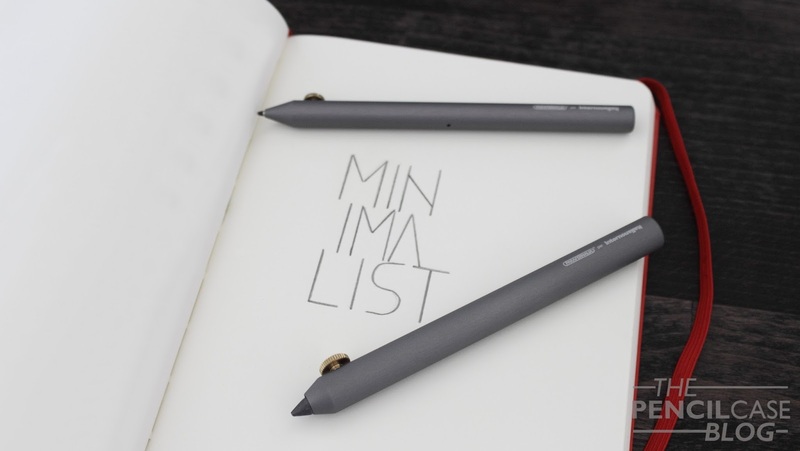 In the pen business, there are quite a lot of brands that aim at producing minimalist writing utensils. Yet not every brand is willing to go really far with the minimalism philosophy. Why? Well, because we humans are used to comfort, and minimalism takes away those 'unneccesary' features that provide comfort. But do we really need flashy features? No. And I'm glad Parafernalia took the challenge and risk of going to the bare minimum. 'An exercise in minimalism', Parafernalia calls it, which is a great way to describe what minimalism is all about. The Neri is a pretty nondescript item if you first see it. 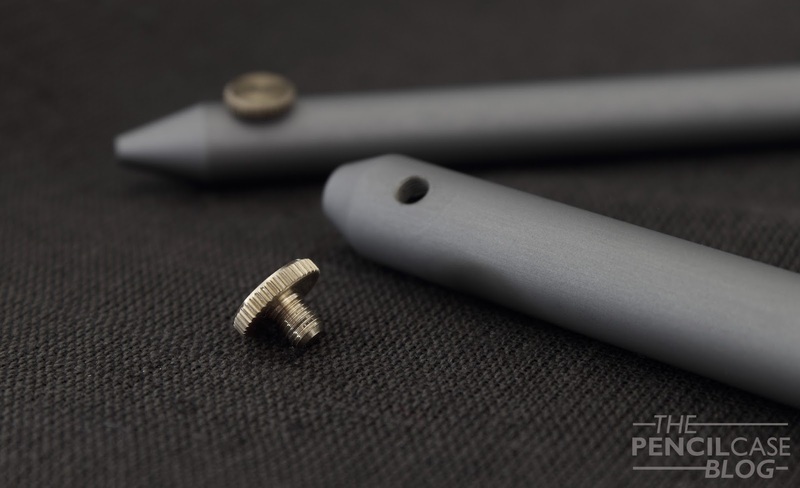 It's a grey anodised cilinder with a brass thumb screw and a conically shaped tip, and that's it (minimalism, right?). Both pen and pencil are pretty much identical, except for dimensions. 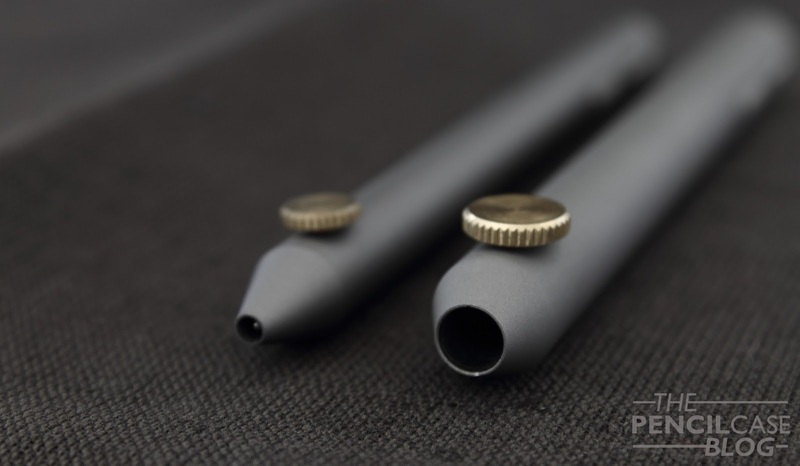 The aluminium barrel is available in three anodized colors, aluminium, anthracite (this one), and black. Because this is a collab between Parafernalia and InternoItaliano, both companies logo's are laser-etched at the back of the barrel. The branding is quite prominently visible, yet both brands have a logo that goes quite well with the minimal theme, so it doesn't really distract from the overall appearance. 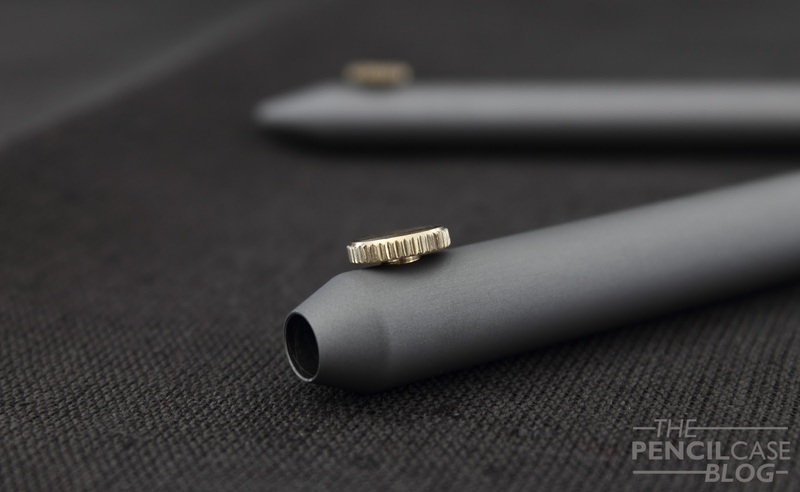 Let's talk about the most prominent -and only- feature on the Neri writing instruments: the brass thumb screw. Parafernalia/ designer Giulio Iacchetti was inspired by the mechanism used in compasses for the mechanism in the neri. unscrew the thumb screw, pull out the lead or pen refill (or let gravity do the job for you), and tighten the screw again. It's a bit weird at first, but with some practice it's actually possible to use single-handedly. Both writing utensils are almost identical in design, yet there's an easy way to tell them apart by looking at the dimensions. The pen measures 13.3cm (5.23 In), and has a 1cm diameter (0.39 In), whilst the leadholder measures in at 12.8cm (5 In), and a width of 1.2cm (0.47 In). It's a subtle difference, but it succeeds in giving both pieces a completely different feel in the hand. 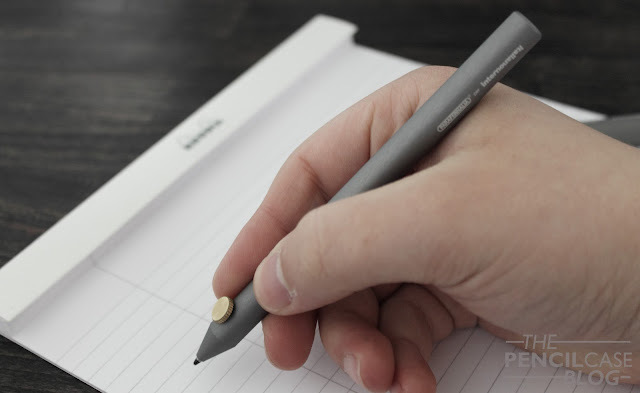 The addded width of the leadholder (similar to how most leadholders usually are a bit 'fatter') provides a more relaxed grip, perfect for doodling and sketching. The Neri are machined from a solid piece of aluminium, which gives them just the right amount of heft. 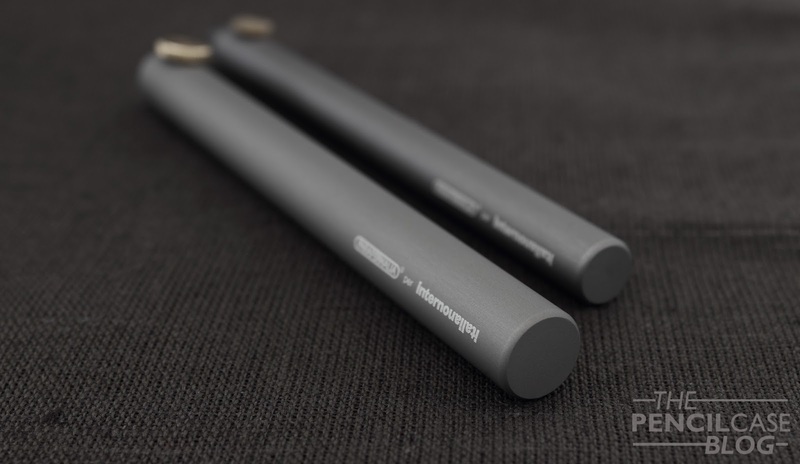 The leadholder is slightly heavier (33g) than the pen (28g). But in practice I find the difference negligible, in fact I find that the ballpoint feels 'denser' in the hand. Because both are relatively compact, they feel nicely balanced in the hand. If I had to choose, I'd say the sightly wider leadholder is a bit more comfy, but the difference is minor. The only thing that can cause discomfort, is the thumb screw. My grip is always a bit higher up, which is ideal in this case. But depending on how you hold your pen, it could get in the way. On the other hand I also found the thumb scew to provide some grip, because the otherwise smooth barrel can feel a bit slippery at times. Because of this, rather vague, description of how it feels in the hand, I'll put it differently: if the clip placement on the Pilot Vanishing Point annoys you, the thumbscrew on the Neri pen and pencil will probably get in your way as well. If you though the VP was uncomfortable, this might be something to consider when looking at these. 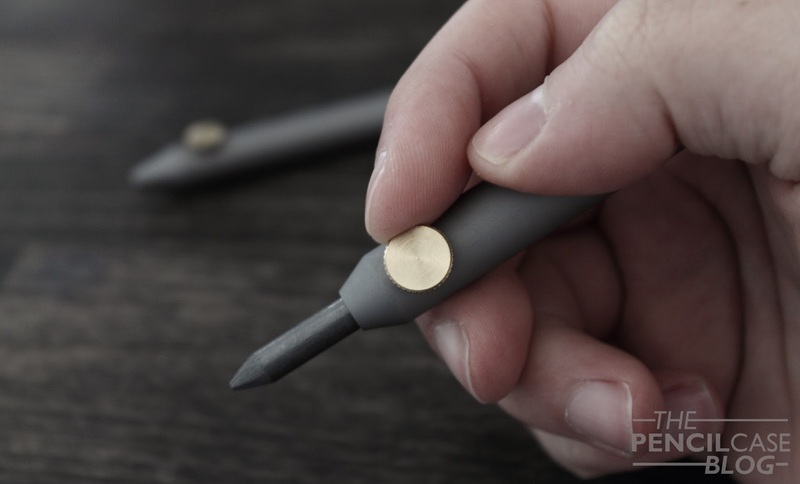 The Neri pen takes D1 refills, because of course the refills have to have a straight cillindrical shape due to the unique mechanism. 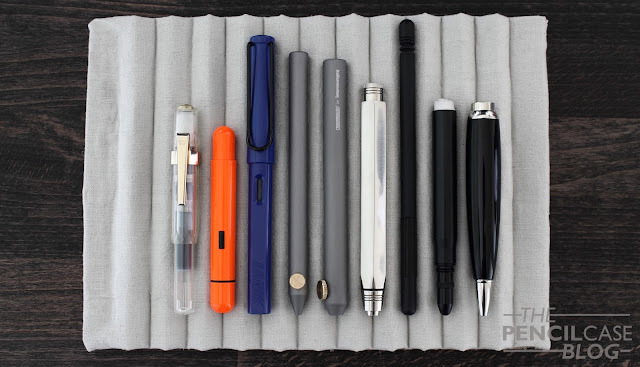 D1 refills are quite widespread, and come in a good variety of colors and types. 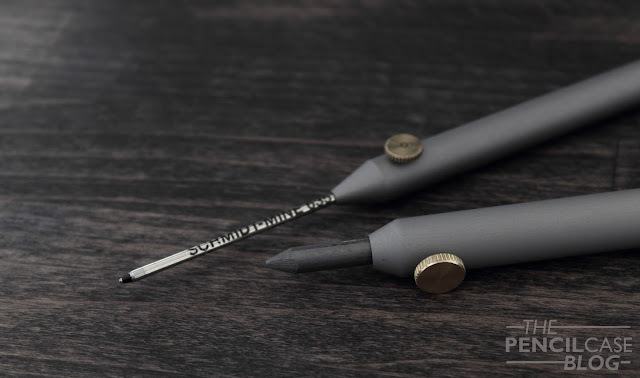 The ballpoint comes supplied with a single medium black schmidt refill. Schmidt makes some pretty good refills, so I didn't feel the need to swap it out. The 5.6mm leadholder obviously came with a 5.6mm lead, that feels a bit firmer than the 2B leads I'm used to. Another small detail that shows the amount of thought put in the Neri, is the small breather hole in the pen body, which prevents the refill from getting stuck inside the barrel (not that the tolerances are that high, but it's still good that they thought about the possibility). The leadholder has a slightly wider opening, so small variations in lead thickness won't cause issues (some brands, including Parafernalia, advertise their leads as 5.5mm, but those are essentially the same). 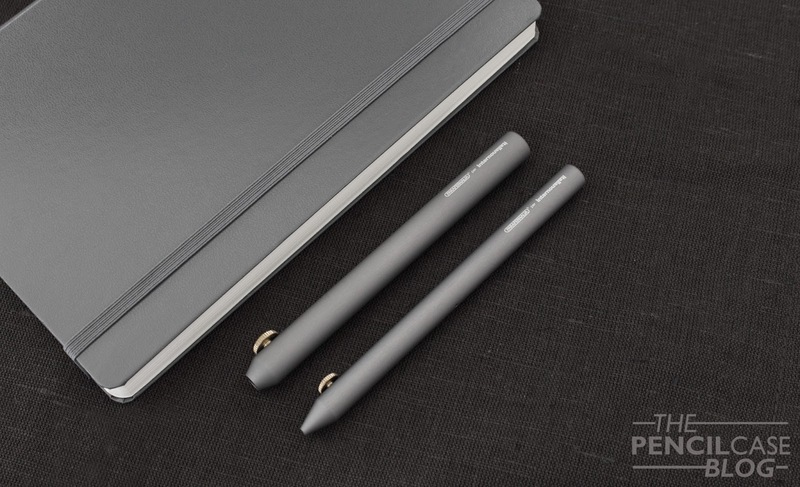 With the Neri, Parafernalia showed, once again, that they are really good at designing awesome products. The Parafernalia Linea was, and still is, my absolute favourite leadholder (Linea review HERE). 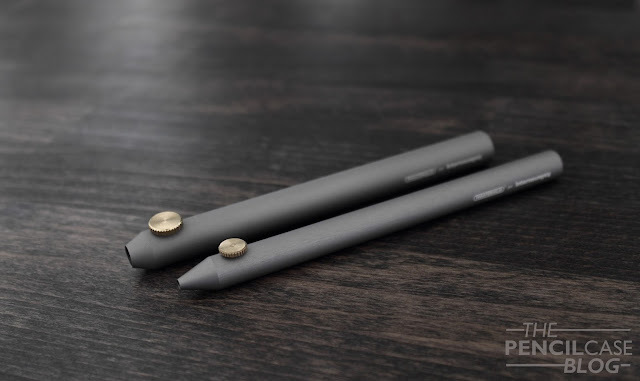 The Neri, both pen and pencil, show that minimal design -in some cases- can be taken pretty far without sacrificing too much comfort or functionality. That being said, I'd still mainly recommend the Neri products for their design and cool-factor. If you want something purely functional, and design doesn't bother you anyway, you might have to look elsewhere. Prices vary slightly here in the EU, there's InternoItaliano (the company for which this model was designed), that sells them at 42 EUR per piece, or 80 EUR for the set. One of my sponsors, Fontoplumo, also happens to carry Parafernalia, and has the Neri for 49 EUR per piece. (Non-EU peeps of course have the benefit of not paying VAT!). 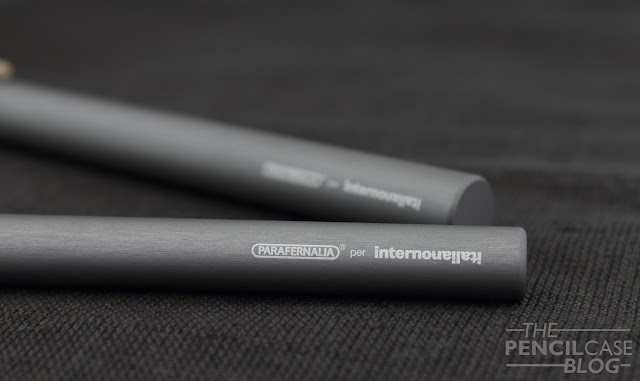 Prices are on the higher side, especially for Parafernalia, but as I said they're worth a shot if you like good design. 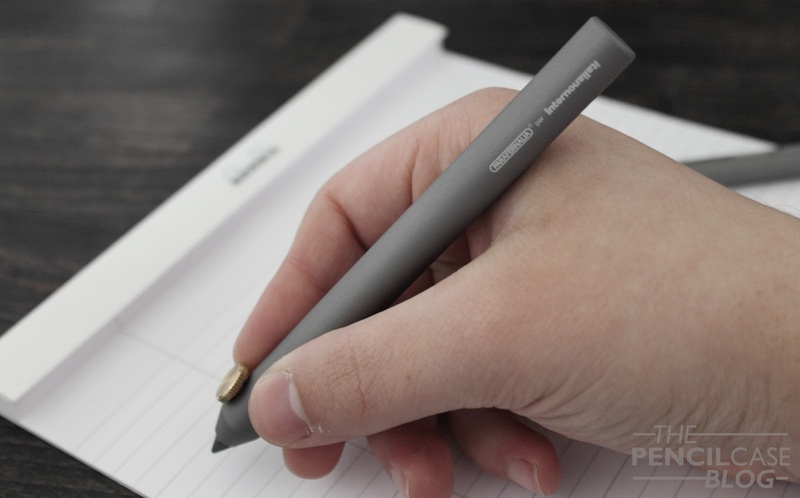 Note: This product was provided free of charge by Parafernalia, so I could write this review. I was in no way influenced in the making of this review, the opinions shared here are completely my own! This review does not contain any affilate links.